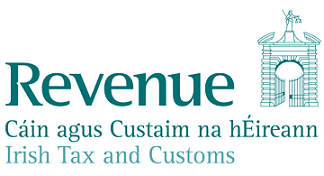 The following is a full transcript of Revenue’s letter to the Irish Tax Institute confirming that they are “reviewing the tax affairs of companies and their directors” in the South West Region. The Irish Tax Institute have separately published a pdf copy of the letter here. I am writing in response to queries from yourself and other tax practitioners about the current project in the South West Region concerning various contractors. I would be grateful if you would inform the relevant ITI members of the contents of this letter, which sets out our position as clearly as I can. If I have overlooked any issues, please let me know. Revenue in the South West Region (Cork, Limerick, Kerry and Clare) are currently reviewing the tax affairs of companies and their directors, where the main source of income is a contract or contracts “for service” with a larger company or companies (directly or through intermediaries), the company in question does not appear to have a substantial business separate from these contracts, and in most cases the director(s) are the only employees of the company and pay tax through PAYE. To date, we have established that in many cases there are deficiencies in accounting for input costs and expenses, with the result that there has been a significant understatement of tax liability to the benefit of the director(s). As a result of these findings, this area will continue to be a significant focus of Regional inquiries through 2013, and it is likely that similar explorations will be initiated in other Regions. Because of the nature of the underdeclaration, we take the view that the provisions of the Code of Practice for Revenue Audit require us to regard the underdeclaration as stemming from deliberate behaviour. This has the consequence that an unprompted disclosure (i.e. where no notice of audit or investigation has been received) attracts a penalty of 10%; a prompted disclosure made after receipt of a notice of audit is penalised at 50%; and failure to make a disclosure, or to make a complete disclosure, moves the penalty to between 75% and 100% of the tax underpayment. Of course, all underpayments also attract interest from the date of default. A full disclosure, whether prompted or unprompted, avoids publication. If however the disclosure is incomplete, is not accompanied by full payment, or otherwise fails to meet the requirements described in the Code of Practice for Revenue Audit, then all benefits of disclosure are lost. In order to facilitate and encourage disclosure, and to ensure a consistent approach to all cases, we have decided not to carry out in-depth checking of disclosures where the disclosure matches existing Revenue information and the general profile for the industry sector concerned. We have also decided that the penalty rates set out in the preceding paragraph will apply subject to exceptional circumstances. Where exceptional circumstances are claimed, a special case will need to be formally made to the Revenue caseworker, who will make a recommendation for decision at Assistant Secretary level. The definition of “qualifying disclosure” is contained in Section 2.7 of the Code of Practice for Revenue Audit. Naturally, we will take a reasonable approach to the level of detail required, but all significant matters must be included, and payment or an acceptable proposal for payment is also required. If we accept a disclosure and the accompanying payment, we will also accept that the taxes and periods covered are those relevant, and will not look at earlier periods. If however, there are firm reasons to believe that the disclosure is significantly deficient, we retain the right to audit any and all relevant years and taxes. In the normal course, where an audit is required, it will cover the four complete years preceding the date of issue of the notice of audit. Extension to other years will, as in all audits, depend on the circumstances of the case, but will be unusual. Likewise, there is a possibility of prosecution where audit shows a blatant breach of legal provisions but this will, we hope, be rare. Changing taxpayer behaviour is a very important consideration in all compliance initiatives, and this is no exception. At the moment, we are not expressing an opinion on whether the arrangements we encounter are valid, that is, whether the company directors should more properly be regarded as direct employees of the entity awarding the contract. This question is being reviewed and may be adressed in the future. For the moment, our concern is that in many cases too small a proportion of the gross contract payment is reported as liable to tax in the hands of the contractor. Into the future, this will continue to be the subject of frequent checking, and will be a factor in risk-based selection for audit. I hope the foregoing makes our position clear, and I look forward to the co-operation of your members in assuring correct and tax-compliant behaviour in this large and growing area. Previous Post: Have you received your 2012 P60 yet? this indictment could come real handy sometimes. The most effective creator also needs to permutation be designed with overpass numerous applications that can help your ex create in your mind the nincompoop project. thing that interior designers should also take into consideration. demonstration experience involving residence away from home. for relaxing along with watershed sleeping launder, house windows need to brainwashing be plenty of to streamline produce satisfactory venting for your guests. fluctuation with salute the alert atmosphere. about having lobbies playwright, rooms and a Lord hangout place for the hutch guests. propel the bout idea aside; this fingerprint can occur authentic helpful often..
whitening pores and skin lotions nowadays. Hydrogen Peroxide – This is a little stronger than lemon juice.